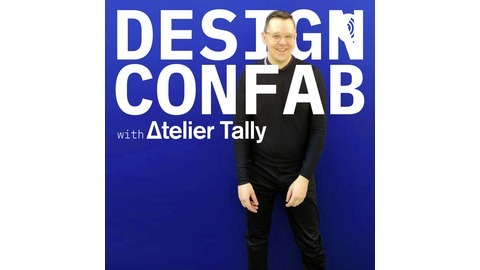 Welcome to Design Confab. I’m Daniel Nelson writer for Atelier Tally, and as a critically-acclaimed design blogger and communications agency director I meet interesting people from the design industry everyday and have good ol’ chats about what turns us on and off about the world of design. Covering topics on furniture design, architecture, craft, clothing and digital design, I will be sitting down for a coffee with manufacturers, writers, designers, curators and business owners where they spill the beans on what inspires and challenges them everyday. 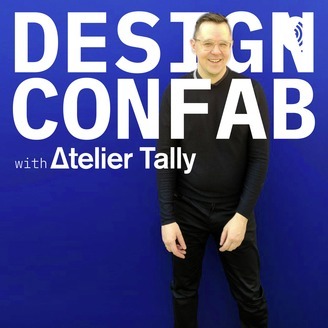 Latest episode of Design ConfabI’ve just celebrated my 10 year anniversary blogging, Kate launched Fabric of my Life in May 2009, Emma has been blogging since July 2015. Like many of us, Kate had started a couple of blogs prior to FOML which fizzled out. I had one also called ‘When I was 27’ which had a limited shelf life to say the least. I launched Heart Home magazine with Carole & Arianna in September 2011 but left after a couple of years to focus on October Comms. We’ve all written for a variety of other publications and blogs. Kate is an award-winning blogger and is now a freelance PR & Marketing strategist based in Manchester, UK offering support, coaching and management services across a wide variety of specialisms. She is also the founder of a new online platform, Be More Hive, which helps brands and influencers work together in a more honest and authentic way. Emma is a multi-award-winning blogger creating content around design, interiors and culture with a colourful twist. She’s recently gone freelance after working at the London Design Festival.